As a nutritional therapist, I often get asked about sugar substitutes. So, in response to this common query, here is a list of some of the most common forms of sweeteners and their potential impacts on your health. Honey has a lot of health benefits in many respects. It contains amino acids, electrolytes, antioxidants, and antimicrobial compounds that can support your health. If you want to reap these benefits, it is important to opt for raw honey, rather than a processed variety. Honey can help with symptoms of allergies, through building up your natural immunity over time. On the other hand, whichever way you cut it, honey is sugar. It's naturally occurring sugar, but it still affects your body in the same way in terms of blood sugar spikes and crashes. 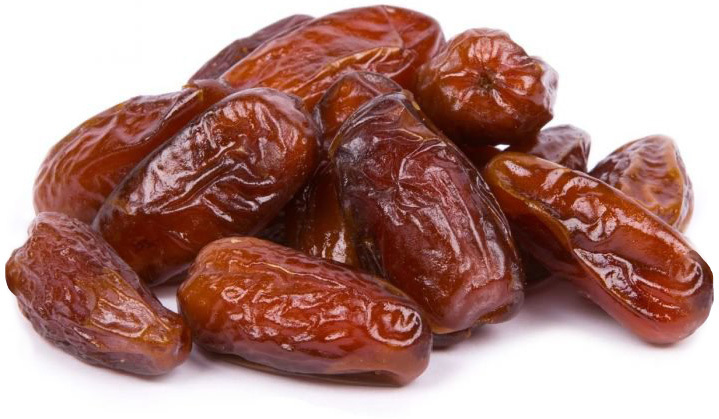 Dates are a popular feature of many paleo or natural sugar-free bars and protein balls, because they are naturally very sweet. They are the most nutritionally benefitial, containing minerals like selenium, copper, potassium and magnesium, as well as providing fibre, which slows down potential sugar spikes in your bloodstream. Medjool dates are a fixture in many trendy recipe books. However dates, too, raise blood sugar levels and can trigger insulin releases. Maple syrup is one of the best sugar substitutes, in terms of nutrition benefits (if indeed you need to use any), because it contains 24 different antioxidants, which help to fight against cell-damaging free radicals. While studies show maple syrup does not spike your blood sugar levels as much, it is still wise to use sparingly. You’ll want grade A (lighter in flavour) or B (nutritionally better and with a more intense flavour). Look for genuine maple syrups as maple 'flavoured' syrups are not the same thing. 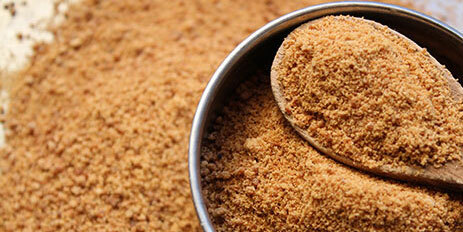 Coconut sugar has become very popular lately and lends a lovely caramel flavour to your food. It is ideal for baking with and causes less of a spike than regular sugar, but it is still sugar, so use sparingly. It is fairly likely that you have never come across this sugar substitute, but it is the crystalised nectar collected from the flower of the Palmyra palm. You use it exactly as you would sugar, and often you can reduce the amount needed by up to a half. It’s packed with B vitamins and has a much lower GL than table sugar. This has found its way into ‘healthy’ recipes and is made from fermented, cooked rice. Despite its apparent healthy credentials, brown rice syrup causes an almost identical sugar spike to regular sugar and is highly processed during the manufacturing process, and so is not at all suitable as a healthy option. Agave syrup derives from cactus, in fact the syrup actually comes from the pulp of the leaf. Agave syrup is very highly processed and is mostly fructose, which needs to be processed by the liver, causing more stress for an already over-worked organ. Fructose is more harmful for you than glucose. Agave syrup, also known as nectar, is very similar to the (deservedly) demonised high fructose corn syrup, that is a major contributor to the obesity epidemic in the U.K. I do not advise that you use this sweetener as part of a healthy diet. Stevia is another natural sweetener, derived from the leaves of the Stevia rebaudiana plant. There are a number of different types of stevia, and ideally you want full, green leaf stevia that has not been cut with other sweeteners. Pure stevia does not cause spikes and crashes in blood sugar levels, thus avoiding an energy rollercoaster. Xylitol is a common sweetener in the U.K, often under brand names such as Total Sweet, or Xyla. Xylitol is a sugar alcohol. It’s slightly sweeter than sugar, meaning you can use less of it, has fewer calories and (the important part) 75% less carbohydrate, so the spikes and crashes in blood sugar levels are lower than you would expect to see, compared to a comparable amount of standard table sugar. Xylitol is the same stuff that is used in sugar free chewing gum, thanks to its antibacterial properties. The downside is that it is very highly processed, and some people can be sensitive to large amounts and may find their stools a little loose, or else can suffer from bloating, if they eat too much. Note as well that it is highly toxic for dogs. People often turn to artificial sweeteners in a bid to cut calories. I strongly advise against this for a number of reasons, but I’ll mention two of the main ones here: Research into some artificial sweeteners has shown a correlation with cancer (weak, perhaps, and refuted by the food industry, but personally I’m not taking any chances). Secondly, multiple nutritional studies have strongly shown that weight gain/ loss has little to do with calories in and out but what happens hormonally inside the body – how much insulin your body makes (insulin being the fat storage hormone that also sabotages fat burning). Recent research suggests that these artificial sweeteners may actually increase blood sugar (and therefore insulin) levels more than normal sugar. So really, where is the upside? My advice is to avoid these sweeteners and go for one of the other options given here. The very best scenario of all is that you try to wean yourself off sweeteners of any kind as most food contains natural sweetness that you become more attuned to when you cut out artificial sugar. If you continue to eat sweet things, your taste buds will always want sweet things. It’s as simple as that. If you need a sugar fix, find it in real, natural foods. It’s also worth considering not only phasing out sugar, but also checking the labels on convenience foods to see where sugar has been added. If your diet has traditionally been quite high in sugar, the first few weeks can be a little tricky as your body (and brain and taste buds) starts to adjust – but bear with it. If you would really like to start cutting sugar from you diet, why not try this free 48-hour sugar detox? This article takes a look at the essential nutritional elements that you are made of and gives some important advice on how to make sure you are getting the right quanitities to stay healthy. Here are some of the basic rules and guidelines to stick to when embarking on a low GL diet. This article takes a look at the upside and downside of snacking in between meals and helps to understand why we get cravings and mid-morning crashes. I will also give some helpful tips of the healthiest way to snack. This articles looks at exactly what it means to be vegan, the good and the bad. I’ll give you some useful tips for getting you started, whether you want to go all-in, or whether you just want to test the water and see if it might be workable for you. In this article, I am looking at the arguments for and against consuming dairy. There is a lot of conflicting information out there and many people are confused as to what the healthy (and ethical) choice is. Calcium is a mineral that most of us associate with strong bones and teeth. This article takes a closer look at the role it plays in our bodies and the best ways to keep your levels under control. The keto diet requires higher fat intake, moderate protein consumption and low carb levels. But what does higher fat mean? Although ketosis is a perfectly normal and healthy state for the body to be in, if ketones are allowed to over-accumulate, harmful health conditions can arise, including organ damage. This article helps you to know whether you might be at risk. One of the advantages of a keto diet is the benefits to brain health. When the body enters a state of ketosis, it generates enough ketones to meet all the brain’s energy needs.